Yes, ppl do misspeak, but there is a difference in misspeaking, and just not knowing what the words actually mean. How can anyone watch her, and not realize she is dumber than a box of rocks? What rock have you been living under? That's been obvious for a while. Remember all the times GW uttered a malapropism and the left went wild with it as evidence of his lack of intellect? So no. You cannot mispeak as a politician. It absolutely is 100% evidence that you're an idiot or something. AOC assembles factory assembled furniture in her super-exclusive high rise apartment and Liz Warren just randomly drinks brewskies in her kitchen. You know ... it's like Theresa Heinz Kerry and John Kerry just happen to walk into Wendy's and order chili. Good point about baby Bush. I'm a republican, but I'll call it like I see it. George jr. Is abou 3 IQ points above a moron. So basically this ad could be real? Hello Pot, I'd like you to meet my good friend Kettle. You post anything that isn't on a DNC list of talking points? Honestly, as someone who spent time working with people who have specific learning disabilities, it's very easy to pick on malapropisms and mispeaking and other similar signs and judge intellect when they aren't often connected. As a parent of a child with two specific learning disabilities, people like you will judge my above average intellect son as a moron for the rest of his life when he's anything but because of such artificial measures. Mispeaking is mispeaking for AOC and for GW. 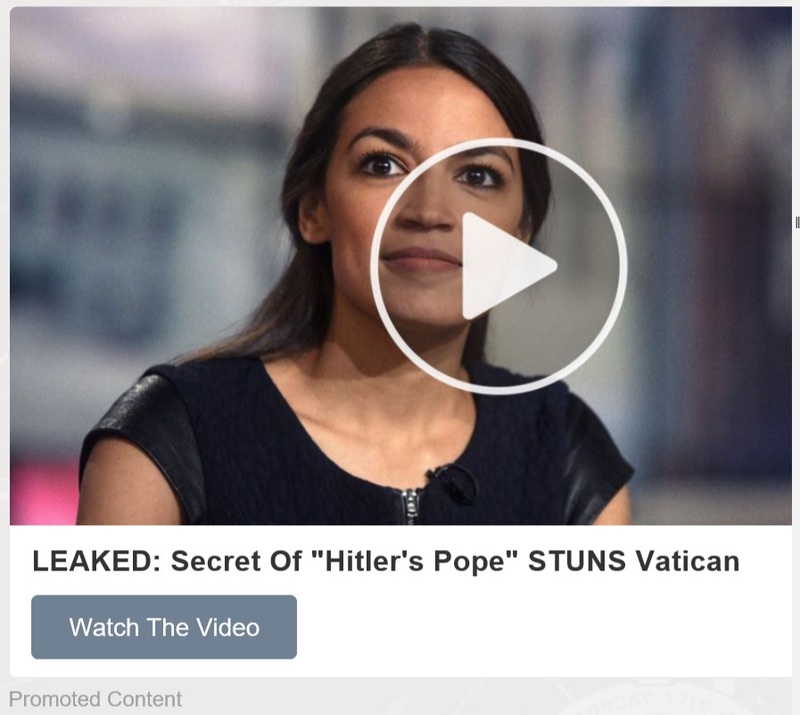 Now, if AOC has put this into writing where you have the chance to re-read your thoughts and think about what you are about to post and still posts a word that does not mean what she clearly thinks it does, I'm a little less forgiving, and there is a body of evidence that suggests she's less than a deep thinker when it comes to, like, policies and stuff.